These 'Nail Enamels' by Revlon have got to be some of my favourite nail polishes. They have cute names, the bottles are a good size and there are loads of amazing shades. At £6.49 each they might not the cheapest at full price, but when you can find them for £1 you really can't go wrong. 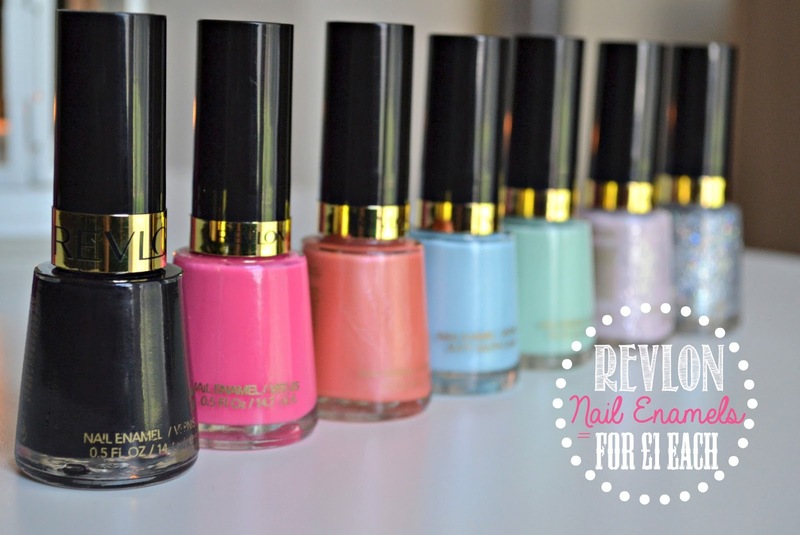 I'd say £1 was a pretty good price for any nail varnish these days, let alone ones from Revlon (who as we all know, love to charge at least a couple of quid more for their products than similar brands do!) Here are the seven I currently own and love. Black Lingerie is the perfect opaque black. Not just for teenage goths, I think black really is a nail polish collection staple. I use this most for adding detail to nail art designs, but I've also used it for a caviar nail manicure and as a base for different glitters. Sweet Tart and Charismatic are great summer shades, I love that Charismatic is full of fine shimmer which is a bit different to the other corals I own and makes it look almost metallic. Blue Lagoon and Minted are two of my favourites at the moment, I mentioned in my last Essie haul that blue doesn't always look right against my pasty pink skintone but with lighter shades like this I find they're way more wearable and actually look quite nice. 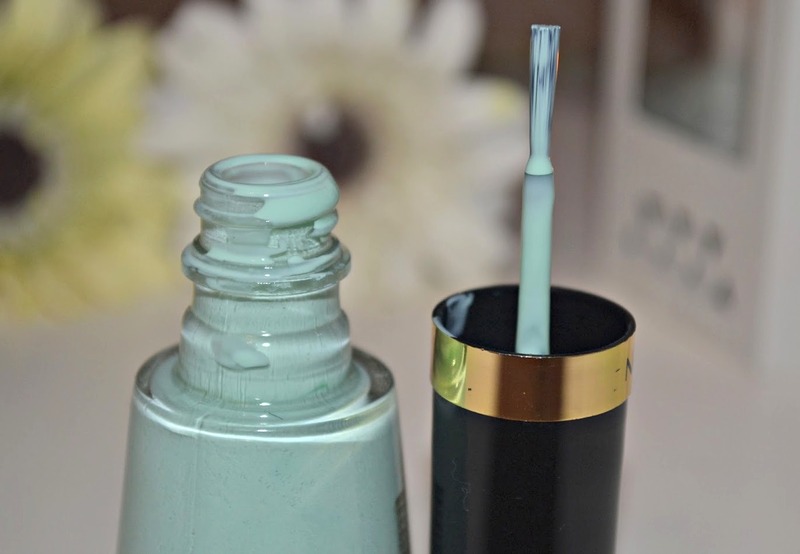 Every spring and summer I think most of us go on the search for the perfect mint polish and Minted could quite possibly be it; I love that this isn't too 'spring green' like some 'mint' polishes can be. For reference it's lighter than Barry M's Mint Green, but not quite as light as Essie Mint Candy Apple which lets face it the ultimate mint green to beat. Popular and Stunning are gorgeous glitters; Stunning is my most worn top coat, if you caught my last nail post I've been wearing it a lot with Essie's 'Bond With Whomever'- a match made in nail varnish heaven! The formula is creamy and opaque in two coats, and the glitters have plenty of glitter particles so you're not having to blob loads of it onto your nail to achieve that sparkly amazingness. I'd say the wear time was about average, they last at least three days on me (which is pretty good, seeing as judging by the tip wear on most polishes I must throw my hands around like a lunatic). I picked up a few of these from Fragrance Direct and the others I found in Poundland, you can also get them quite cheaply on eBay . Have you ever tried Revlon Nail Enamels? What's your favourite shade? can't believe these are only 1 pound! i love the "stunning" shade :)have to try these! 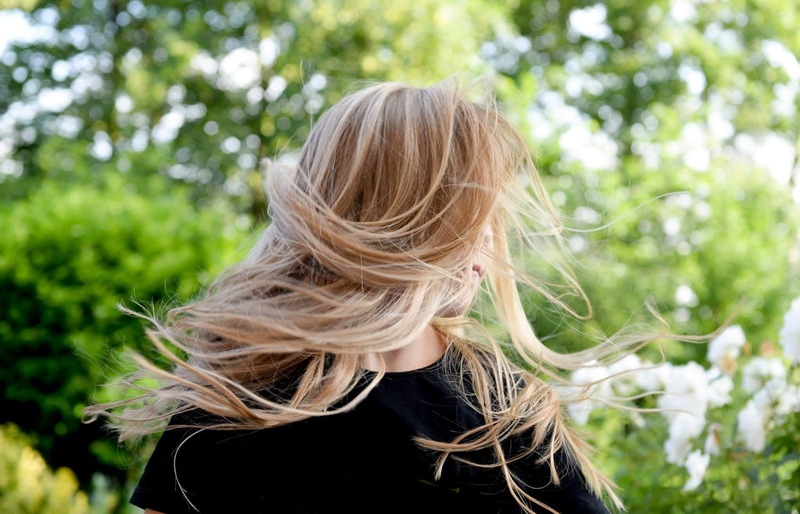 I absolutely love fragrance direct! have you ever tried any of their essies? I wish I could purchase them but we don't have Revlon here in German, or maby we have but I'm not aware of that yet. Haha! I am in love with these colors and inspired to take better care of my nails..Great write. I have a few of the Revlon glitter polishes, and I bought my mom a set of 10 Revlon polishes but have yet to try them out. You chose amazing colors! I love every single polish you bought! Such pretty colors, I love the mint and the pink! what a great price too. Another great bargain from Fragrance Direct. They really do have some amazing offers regularly. Ahhhh Fragrance Direct need like an award or something man, their pricing is just awesomeness. I've loved the look of Minted for absolutely years but never got my hands on it - fingers crossed they still have some left come pay day :D oh and also Sweet Tart, too pretty!! I always see these at the store, but am never sure if I should buy them. I may have to try them! Is there postage on them? I love all the colours!